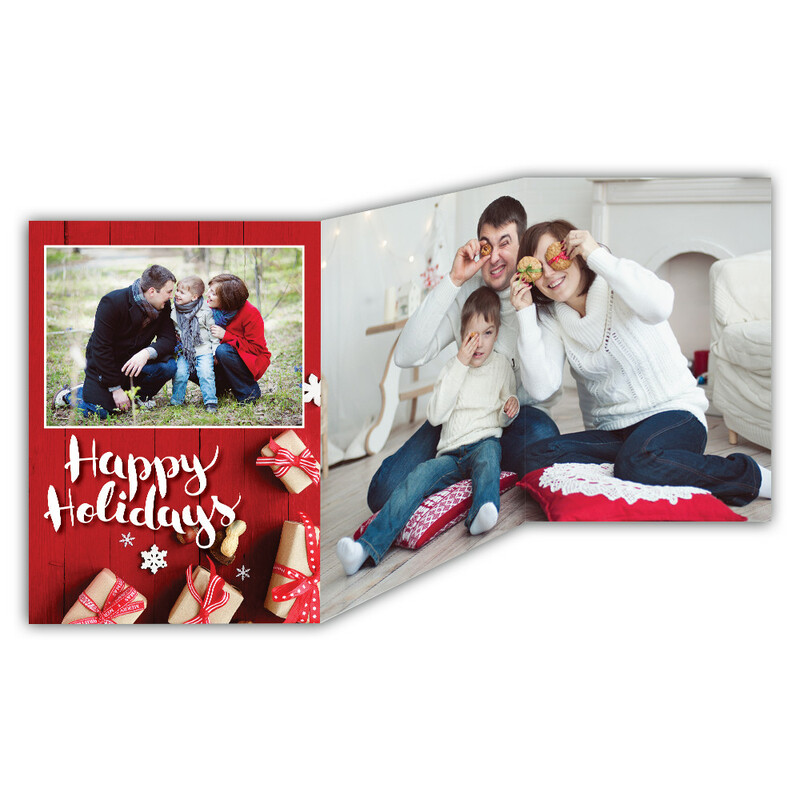 A picture is worth a thousand words, so share a photo holiday card to voice your seasons greetings. This personalized card is the perfect way to share some meaningful holiday greetings. Select up to six family memories, arranged neatly along the card. This photo holiday card features a rustic design, with a red-wood background surrounding the photos. The card is unique to your family, and sure to be memorable. Card Size : 7.0" X 15.0"